2017 Seat Ibiza SE 1.0 MPI 75 review – verdict | What Car? As an all-rounder, the Ibiza is arguably the best small hatchback currently on sale. 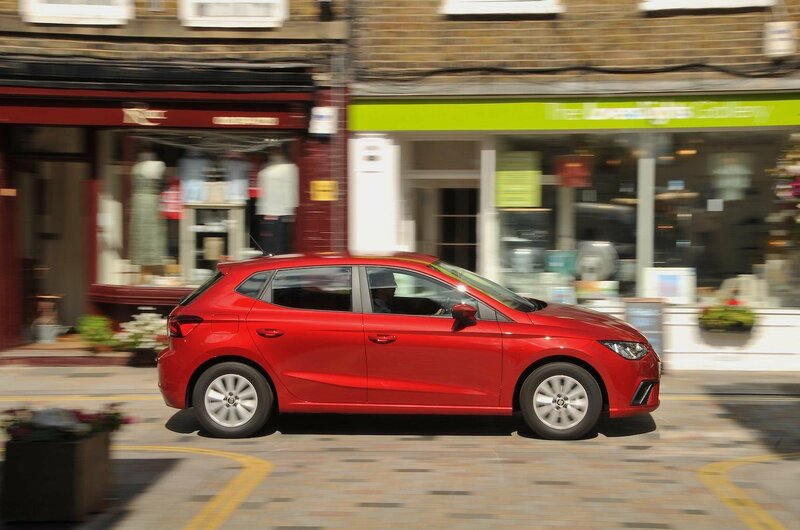 Even in the face of stiff competition, Seat has managed to create a car that stands out, thanks to its tidy handling, classy interior and competitive pricing. However, after testing this entry-level version in a mixture of urban and rural environments, we can say with confidence that it's best to avoid this entry-level 1.0 MPI 75 engine. In terms of performance, it's light years behind the turbocharged 1.0 TSI 95 and it's hard to ignore that the more powerful turbo unit emits even less CO2 and will return more miles per gallon. The argument is even more compelling when you look at the pricing. If you’re paying cash and specify SE trim, it is only £595 more to step up to the 1.0-litre 95 petrol. And if you prefer PCP finance, things are even more exciting: on a monthly PCP finance deal with £2000 down, an identical 1.0 95 Ibiza is not even £20 per month more on a three-year deal with the same terms. Ultimately, we know which we'd choose.